Buying a new home is an exciting time, but it definitely doesn’t come cheap. Once you have put down your deposit, paid for surveys and valuations, and finally moved in, the next thing you need to do is decorate. You may have furnishings from your previous home that you can start with, but it is still nice to make a new home your own and decorate it in your style, whatever your budget may be. A great place to start when it comes to decorating is with a theme. By deciding early on how you want your home to look, you could save quite a bit of money in the long run. Plan your theme before you start and start looking around for the best priced paint, wallpaper and accessories that will fit with that theme, so you know you are getting a good deal. Social networks like Pinterest are great for creating mood boards that will help you plan out your décor and take inspiration from others. This can be done at the same time as planning your theme, or if you haven’t moved in yet, as soon as you get the chance. Measure your rooms up and think about how many items of furniture you want to have in each room. It can be easy to picture a room in your head and decorate it in your mind, but when it comes to the reality, you could easily find that some of your measurements are off. Think about the most important furniture you will need and make sure you know it will fit before splashing out on anything pricey. You may actually be surprised by how much furniture and other bits and bobs you have hanging around. 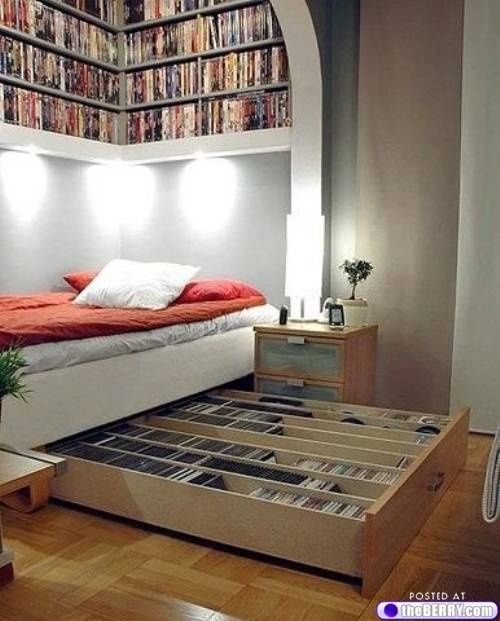 Moving house is a great time to re-organise and reassess your existing furnishings and decided what could be re-used. The great thing about re-organising is that you may find that an armchair you don’t really use in your sitting room could actually look great in your bedroom, or perhaps a few pictures you had just stored in the attic would be perfect for decorating your spare room. Upcycling is all the rage these days, it’s a simple and budget friendly way to turn old, unwanted furniture into brand new refreshed furnishings. If you don’t have anything in your home to upcycle, then you can always go to a nearby car boot sale or flea market and pick something up at a very cheap price. There are loads of tutorials all over the internet that show you how to upcycle different pieces of furniture, but the easiest way is to just paint them or whitewash them and then sand the edges to give it a shabby-chic touch. A great tip when it comes to decorating on a budget, is to make one area of the room a focal point. By doing this, you are drawing the eye to one specific area and don’t have to worry about designing the whole room right down to a tee. In a bedroom you can make the bed a focal point, just choose a nice headboard and stylish bedding, and that’s the first thing people will see. In any other room you can either choose an item of furniture to focus on, or alternatively you can paint one wall a different colour to the rest and hang lots of interesting mirrors and pictures on it – no will even think about the rest of the walls. Decorating doesn’t need to be about splashing out on lots of new furniture and spending hours wallpapering all the rooms in the house. As long as you have some home comforts and a theme that you like, your property will always feel like home.